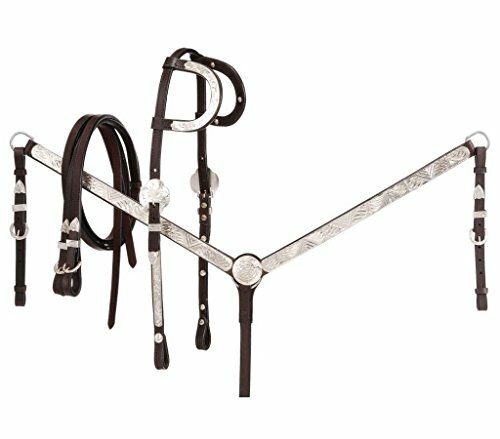 The perfect way to train your horse, the Royal King Ferrules Double Ear Show Headstall has everything you're looking for in a headstall. Double sewn quality leather accented with silver ferrules and rawhide make this a design that stands out from the rest. It's available in a variety of colors so you can get just the look you want. About JT International For over 35 years, JT International has been providing riders with quality equestrian equipment designed to maximize the riding experience. With over 1,100 different types of products available, they offer new and time-honored favorites to riders all over the world. From tack to training supplies, JT International has each rider and their mount covered. Crafted of double sewn quality leather. Accented with silver ferrules and rawhide. Available in a variety of colors. Perfect addition for your horse during training. 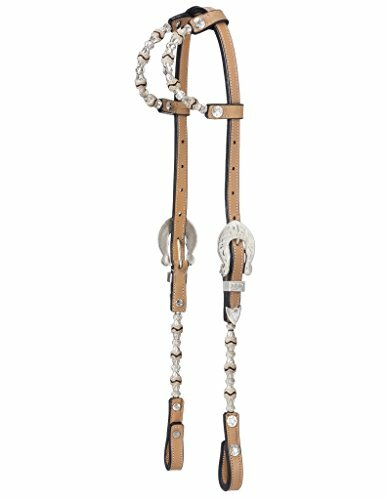 You'll be ahead of the game with the Royal King Ferruled Double Ear Show Headstall. 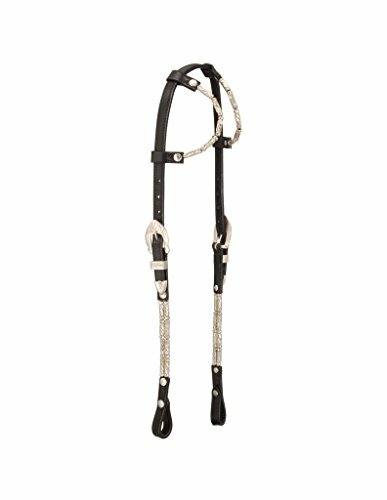 Constructed of durable bridle leather and accented with engraved silver ferrules, the traditional design comes with double ears. Choose from various colors for a custom look. About JT International For over 35 years, JT International has been providing riders with quality equestrian equipment designed to maximize the riding experience. With over 1,100 different types of products available, they offer new and time-honored favorites to riders all over the world. From tack to training supplies, JT International has each rider and their mount covered. Crafted of fine bridle leather. Accented with engraved silver ferrules. Choose from various colors. Traditional headstall comes with double ears. 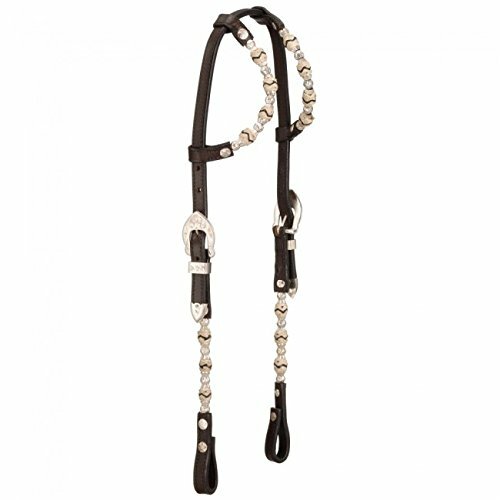 Style and comfort, the King Series Double Ear Braided Rawhide Headstall has both. 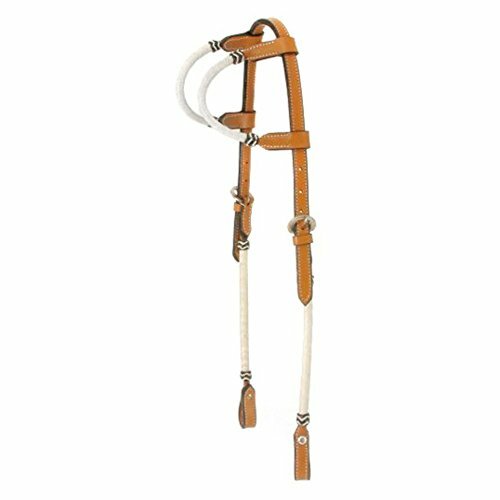 Crafted from quality rolled bridle leather in your choice of color options, this headstall has a double ear design accented by intricate rawhide braiding and is hand-edged for added comfort and detail. About JT International For over 35 years, JT International has been providing riders with quality equestrian equipment designed to maximize the riding experience. With over 1,100 different types of products available, they offer new and time-honored favorites to riders all over the world. From tack to training supplies, JT International has each rider and their mount covered. Constructed from high-quality leather. Choose from the given color options. Highlighted with intricate rawhide braiding. Doubled and sewn for durability. 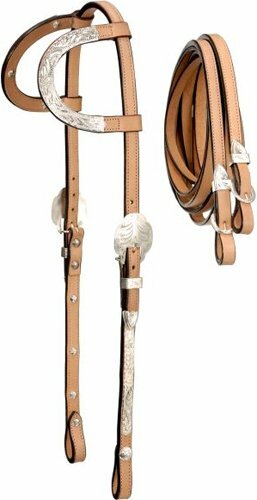 Looking for more Double Ear Show Headstall similar ideas? Try to explore these searches: Square Stoneware Mug, Blu Lock, and Kyb Agx Integra. Look at latest related video about Double Ear Show Headstall. Shopwizion.com is the smartest way for online shopping: compare prices of leading online shops for best deals around the web. Don't miss TOP Double Ear Show Headstall deals, updated daily.